Helena Wayne Huntress: Doomsday Clock #7 Reveals The Fate Of Alan Scott And The Justice Society. So Now What? Spoilers Ahead. Part of the problem has been, I feel, that the story has been more fat than meat content-wise. The characters and details that are not essential to the larger Rebirth story have been getting the most attention and development than the characters and details that are. Case in point: one of the mysteries of Rebirth is that the Justice Society is missing from the Prime Earth Universe. Why is that? All we know is that Jay Garrick is trapped in the speed force, but no explanation is given for his imprisonment. Johnny Thunder remembers the Justice Society, was seemingly imprisoned in a retirement home, but has lost his ability to summon the Thunderbolt, Cei-U. Again, why is that? In this month’s issue—spoiler alert—Alan Scott’s 1940 origin from All-American Comics #16 is recounted before we learn that Dr. Manhattan killed Alan in the train wreck that originally gave him his powers. 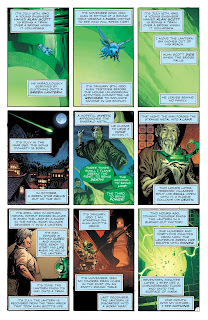 In preventing the mystical green flame from saving Alan, he effectively prevented the appearance of the first Green Lantern, and this somehow had a domino effect on history that in turn prevented the formation of the Justice Society on Prime Earth. This also means Alan's children, Jade and Obsidian, were never born. 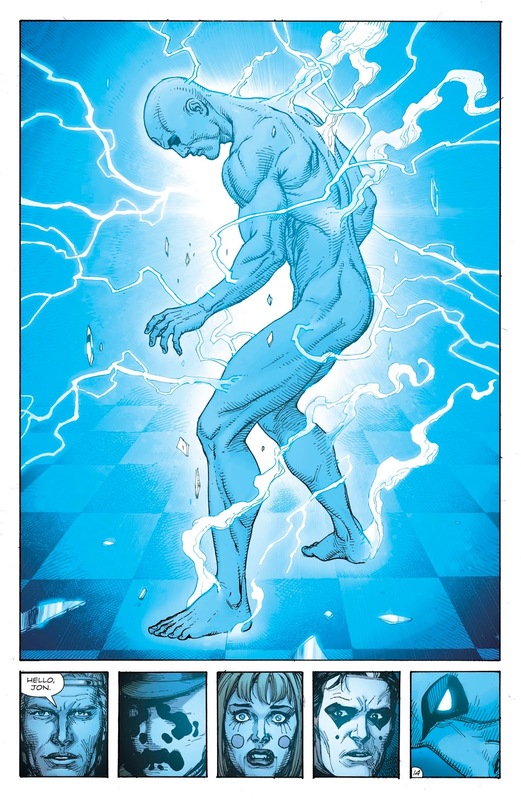 The question I keep coming back to is “why did this happen?” What was Dr. Manhattan’s motivation for killing Alan and taking many other Golden Age heroes (including their legacy heroes) off the board? What is their threat to him? These are the questions that should’ve been at the front and centre of Johns’ story from the very beginning. Instead, we (the readers) have spent more time learning the origin stories of New Rorschach, Mime and Marionette, and even Ozymandias, characters who should be secondary to the events of Doomsday Clock, not the centre piece. 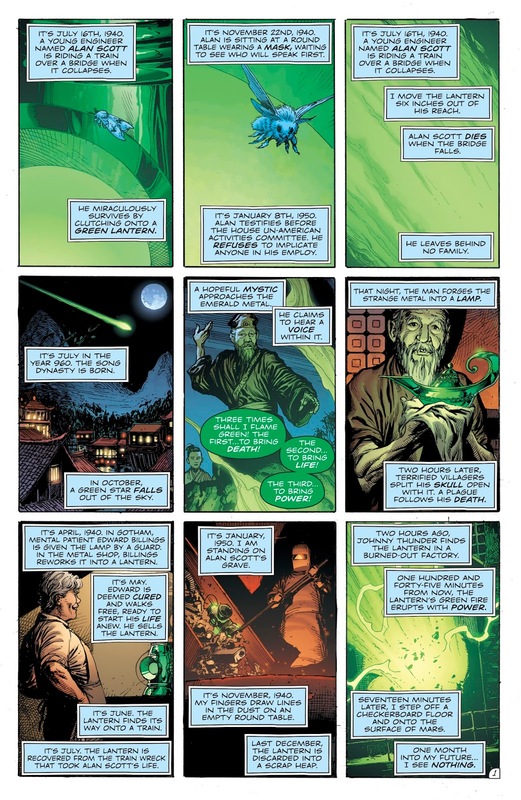 The time and page space that went into developing these characters is time and space that didn’t get utilised answering the questions that were first posited in DC Universe Rebirth #1 two years earlier. What is Dr. Manhattan’s character motivation in this story? Why is he curious about the DC Universe? Why is he experimenting with the DC Universe history and characters? Do his changes to Prime Earth also apply to Earth-2—a world that was more radically changed with the Flashpoint reboot from its pre-Flashpoint predecessor? On that note, what is the status quo of Power Girl in the Rebirth continuity? Post-Flashpoint she was obsessed with returning to Earth-2 alongside her world’s Huntress, Helena Wayne. Last we saw her, she was happy residing on Earth-2 again. So why is she back on Prime Earth, seemingly without Helena Wayne—an important person in her life she would never leave behind? That doesn't make sense. 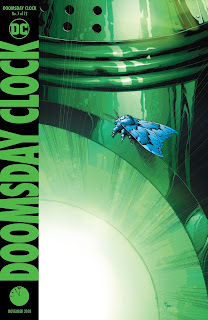 Then there is the most important question I have regarding the larger story of Doomsday Clock: what is Geoff Johns trying to say about DC’s reboots and the wrong-headed changes that often accompany these reboots? How does he want to fix what he sees as broken? These are the answers I'm interested in learning. After seven issues, I feel like we should know a lot more than we currently do, but we honestly don’t. The story so far has been meandering and very slow to reveal any meaningful details. We’re at a point now where things really need to get moving if this story intends to end on a high note and not underwhelm on delivering the answers fans have been waiting for since 2016.